A flipbook based on the LEGO® NINJAGO® MOVIE! 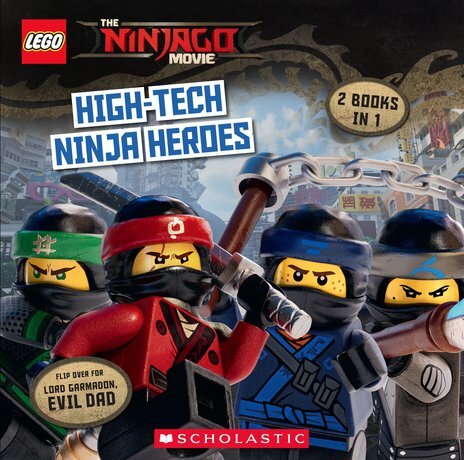 In the first book see how six teenage ninja came together to save Ninjago City from Lord Garmadon and his army of Sharkmen, as told by Master Wu himself! Flip the book to read the second story. Lord Garmadon may be a lot of things: he’s an evil warlord, a four-armed villain and all-round scary guy. But if there’s one thing he’s afraid of, it’s being a dad! Learn what happens when Garmadon finds out that his biggest enemy, the Green Ninja, is actually his son, Lloyd!